Esben and the Witch have been making a lot of waves in recent years, and it would be hard not be when you are as talented and prolific as this trio. A band who eagerly embrace new challenges and drown you in powerful, almost otherworldly sounds, these post rock masters have crafted something which is wholly their own and which winds up being entirely addictive, mesmerizing and impossible to escape from. A band who truly understand the zeitgeist of the genre and drive towards bold new heights, Esben and the Witch have done it again. What consistently impresses me is just how talented Esben and the Witch are and how they are able to take their simple trio approach and turn it into something far grander. This is aband who unleash powerful and multilayered music that takes from the canon of post rock, but also isn't afraid to showcase influences from around the music world. The powerful and deeply soulful vocals of Rachel Davies are a huge asset to the band, perhaps best showcased on the records second track, Dull Gret. Suffice it to say - the deeper you delve into the soundworlds of Nowhere the more you will fall in love with the band. 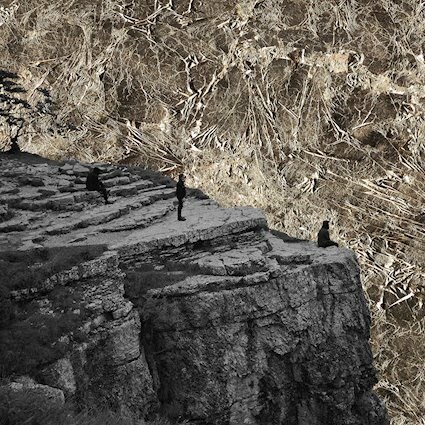 A record that brings you to the edge of oblivion and encourages you to stare into the void, Esben and The Witch's fifth full length is a thrilling listen. The heady atmospheres that the band has has embraced here are a step beyond anything in their past work and hints at so much more to come. They are plumbing the deepest depths of the human psyche and the dark emotions which they overturn on Nowhere feel like old ghosts coming back to haunt us. There is something almost magical about what's happening here, something any music fan, not just post rock lovers, can enjoy.